Tonight, the University of Nottingham Women’s Basketball will look to end their season on a high with what really is a sporting spectacle for all involved as they face Nottingham Trent University in this year’s Basketball Varsity 2019 at the Motorpoint Arena. 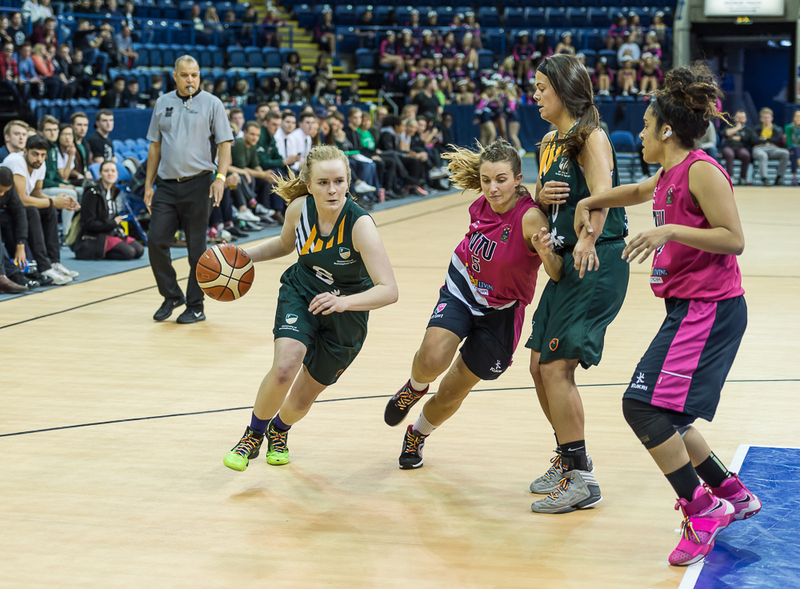 UoN just lost out on a BUCS Trophy Gold at BUCS Big Wednesday as they were defeated 77-49 by Bournemouth University. However, this is only the teams second defeat of the season as they won the Midlands 1A league title by 6 points having only lost one league game all season. After the heartbreak on BUCS Big Wednesday, UoN will be even more determined to end their season on a high. NTU on the other hand, have not quite enjoyed the success of UoN in their BUCS league campaign. They finished bottom of the BUCS Northern Premier League having lost all of their games and will face UoN in a promotion/relegation play off to see who will go up and who will go down. NTU won last year’s varsity 53-48 in a very tense encounter, however, having lost all their games this season the momentum has definitely shifted to UoN. 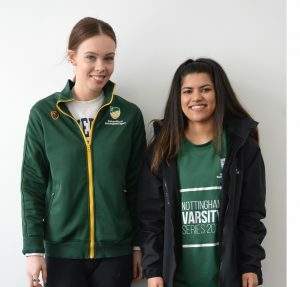 Ahead of the big event UoN Sport spoke with Women’s Basketball President Vera Khanolkar and Women’s Basketball Scholar Fran Musson to gather their thoughts on tonight’s Varsity Fixture. So the girls are feeling positive for a UoN win, so get down to the Motorpoint Arena and show your colours!